Ted Cruz Announces Statewide Leadership Team — The Life and Times of a Young Professional in San Antonio. 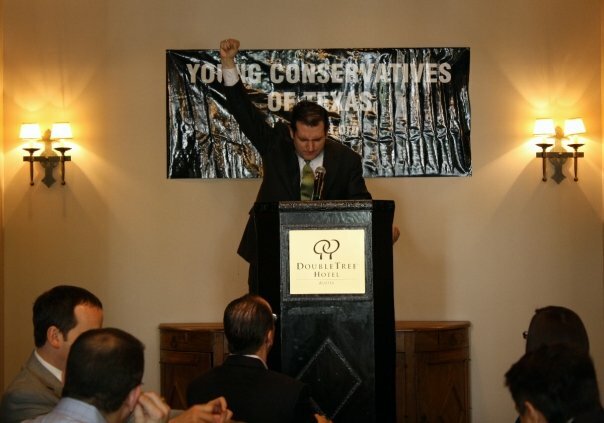 Social media savvy conservative rock star Ted Cruz has announced his statewide leadership team. The Cruz campaign has been picking up momentum by sweeping in endorsements from such principled conservatives as YCT Alumni Senator Rand Paul, FreedomWorks, Senator Jim DeMint, Eric Erickson of RedState.com and more. You might notice a familiar name in the Hidalgo County part of the leadership team too...yours truly! I'm proud to endorse Ted Cruz and I hope you'll join me in supporting him by signing up here. Speaking of Cruz being social media savvy, take note of his website. If every conservative candidate approached technology and the web like Ted Cruz we'd have a way easier time getting the grassroots mobilized. The website is easy to read, navigate and has some great "take action" features all throughout the site. Very good work. By the way, you can order the bumper stickers that were voted on by his supporters here.